Minime loves learning and exploring, so when we were sent a bug catcher set to try out he was very excited indeed! 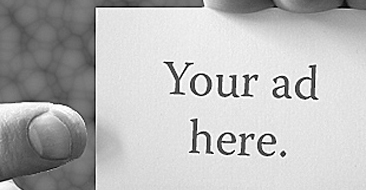 After all, it has been a long summer and I needed to keep him entertained somehow – this did the trick! 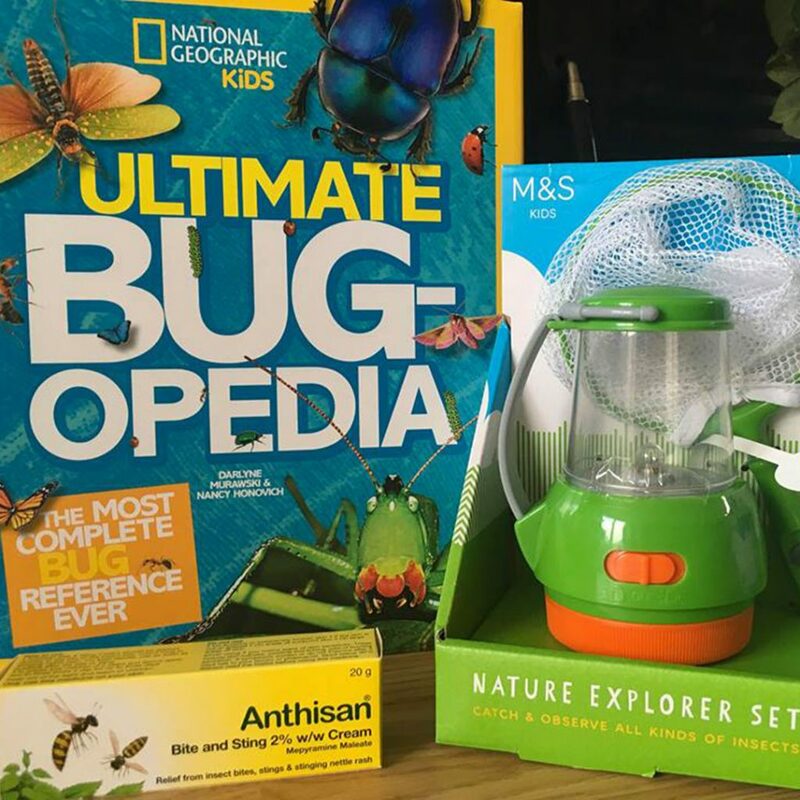 It contained three items all perfect for little adventurers, this fun nature explorer set from Marks & Spencers allows kids to catch various bugs and view them close up through the plastic lens. 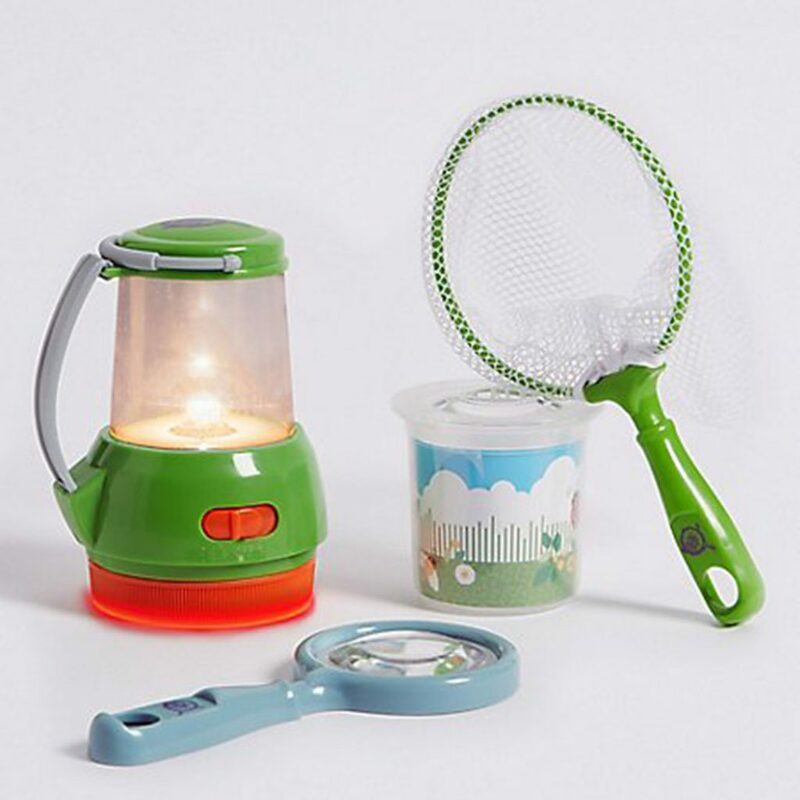 Inside the kit was a 2 in 1 lamp and torch, 1 bug jar with a magnifying lid, a magnifying glass, and 1 net for catching bugs. It requires 2 AA batteries which are included and the set is made of plastic and is of a good quality. He couldn’t wait to go out searching for bugs but how would he identify them? 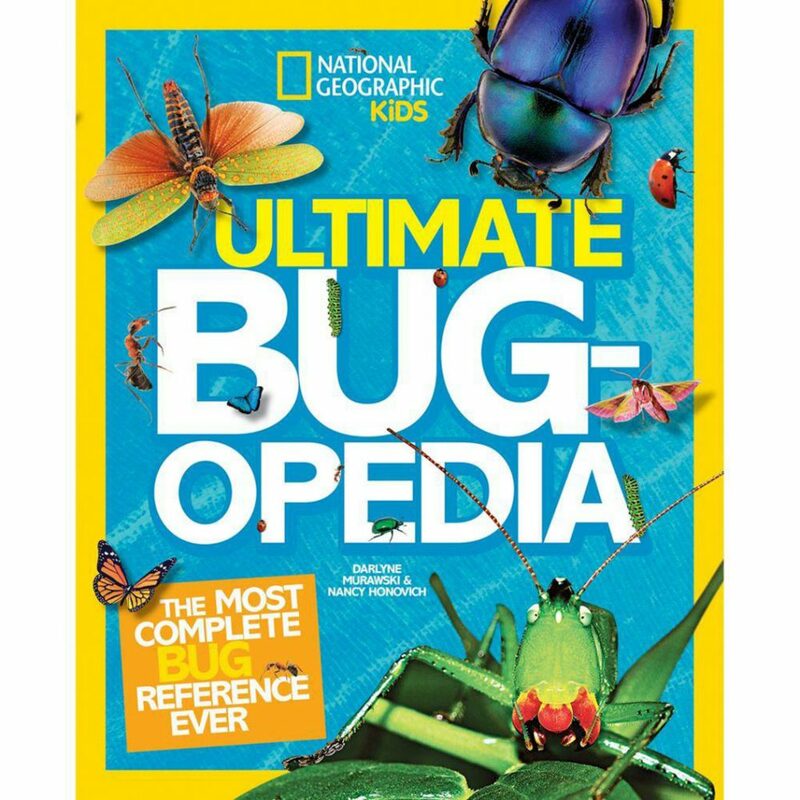 Well we were also sent the National Geographic Kids Ultimate Bugopedia. The book is full of beautiful photographs, facts and information about the world’s coolest creepy-crawlies. You’ll find interesting information on bugs, beetles, wasps, bees, ants, caterpillars, butterflies, dragonflies, spiders, flies, crickets and grasshoppers, and centipedes and millipedes. Facts inside the book include scientific names, size, diet, and habitat. It is the perfect book to accompany the nature set. Unfortunately stings can happen when out on the great outdoors Anthisan cream provides relief from pain, itching and inflammation caused by insect bites, insect stings and stinging nettle rash. Anthisan Bite & Sting Cream can provide symptomatic relief of skin irritation caused by insect stings, insect bites and nettle stings and has been used for over 50 years. The cream is easy to use and contains the active ingredient Mepyramine Maleate (2%), a topical antihistamine which stops the histamine affecting your body’s cells by blocking receptor sites in your nerve endings, helping to reduce pain, swelling and skin irritation. Anthisan Bite & Sting Cream (20g) retails at £3.66 and is available from leading pharmacies and supermarkets. Suitable for the whole family including children from two years. Always read the label. I have used Anthisan Bite & Sting Cream before on a bee sting and it worked brilliantly. 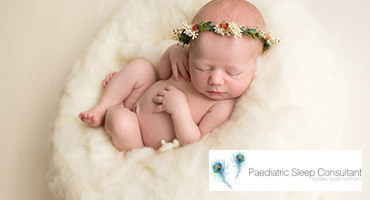 It is a small, convenient, tube of soothing cream that can be applied directly to the site of the insect bite or sting giving relief. 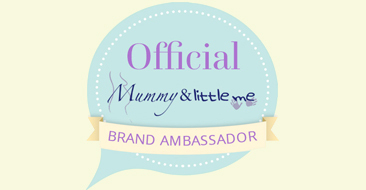 Minime is thoroughly enjoying using his set and hopes to make more discoveries.